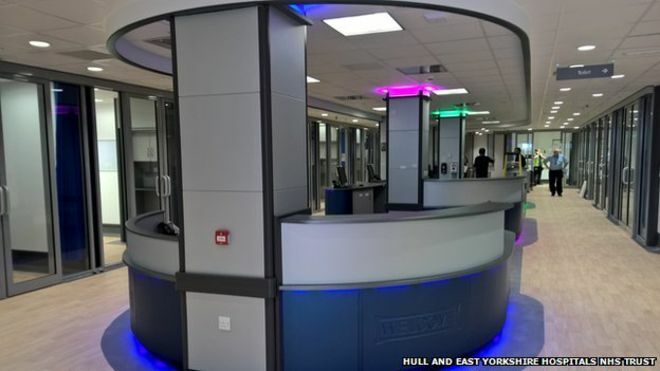 A new emergency department has opened at a Hull hospital after a £12m revamp. The 3,000 sq m department at Hull Royal Infirmary includes 10 resuscitation bays, eight assessment units and 24 cubicles for analysing patients. Hull and East Yorkshire Hospitals NHS Trust said it hoped the facility would reduce “significant pressures experienced over recent months”. A surge in patients due to a sickness bug meant patients were transferred as far afield as Grimsby and Scarborough. Dr Jacquelyn Smithson, a medical director at the trust said: “It is no secret that our Emergency Department has been experiencing significant pressures over recent months, and whilst our facilities are now state of the art, we do still need to ensure they are kept free for only the most seriously ill and injured people. Click here to view the article on the BBC website.